I learned yesterday (thanks to my rudimentary French skills) that our Act of Adoption, the final step in the DRC court process for adoption, was completed January 23, 2015. My agency rep had actually sent the documents to me about a month ago when she told me some documents were completed with my husband's name written wrong; however, I didn't want to obsess about the incorrect documents taking ANOTHER several weeks to complete, so I didn't look at them. I should have looked! Then I would have known! 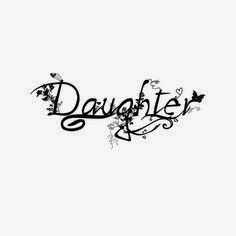 We have a DAUGHTER!! She is officially a Lotz. We are still waiting on some documents to be corrected with my husband's real name, and when we get those documents it will be time to file our I-600, which will begin the US investigation phase of the adoption. But according to DRC courts, she is our daughter. And that's something big. And it's especially timely, considering the new laws that are apparently being made in DRC "soon" and a few other Lotz family dynamics. We had originally planned to file our I-600 in DRC, which is said to cut down on the investigation timeline. However, our plan may have to alter a bit based on timing. But for now, we continue to wait. We continue to fight for her release. We continue to trust in the God who created all things and has jurisdiction over all things, even DRC Exit Letters.